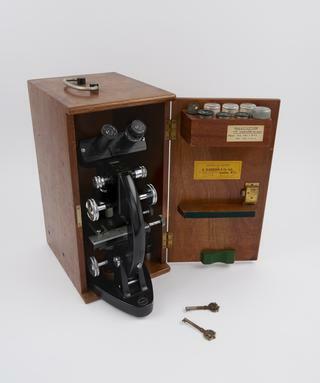 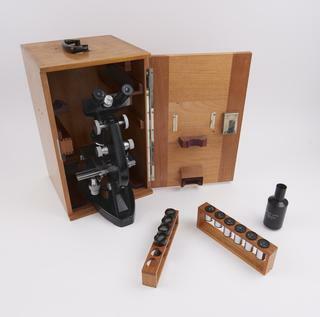 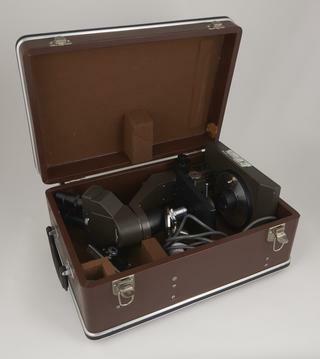 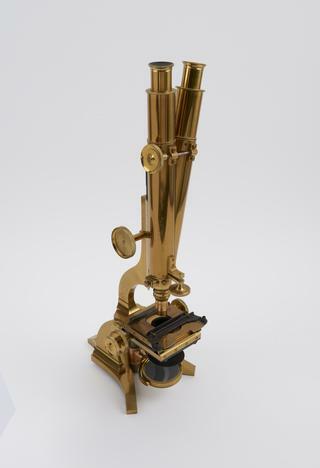 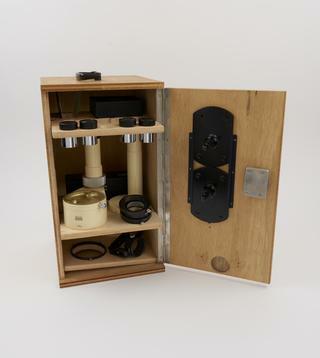 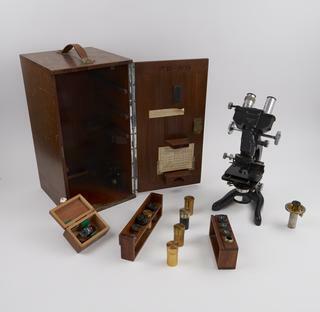 'Bactil' research microscope, steel and brass, with some accessories, in mahogany case, by W. Watson and Sons Ltd., 313 High Holborn, London, England, 1948. 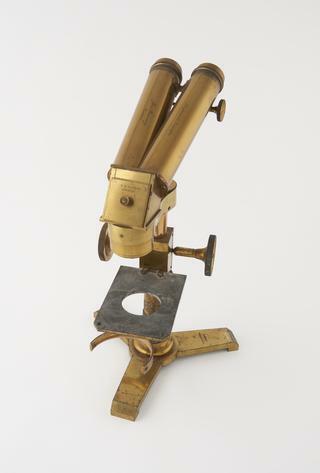 Binocular microscope, in case with glass door, by Moritz Pillischer, Hunter and Sands and J. H. Steward, serial no. 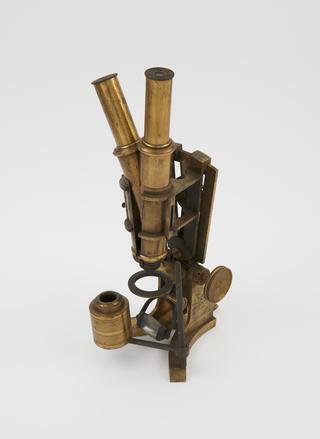 247, 406 Strand, London, England, 1860-1875. 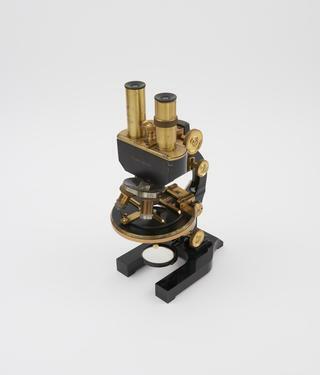 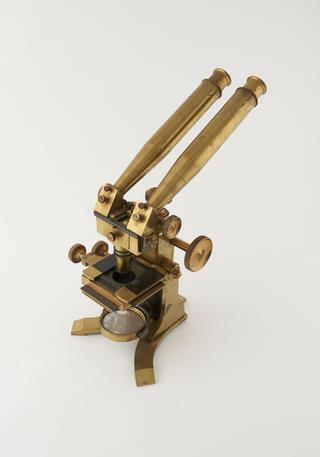 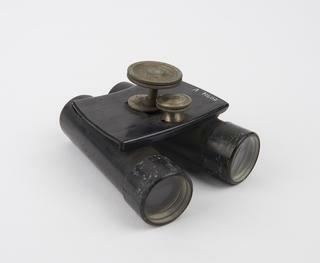 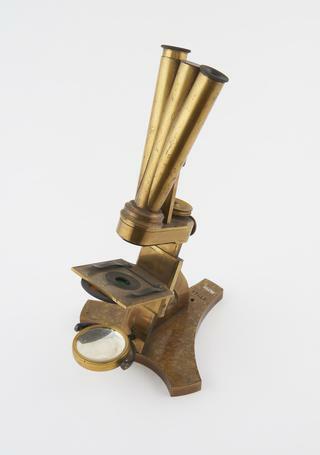 Binocular microscope with body tubes separable by turning a single screw, by Nachet and Son, 17 rue St. Severin, Paris, France, 1850-1875. 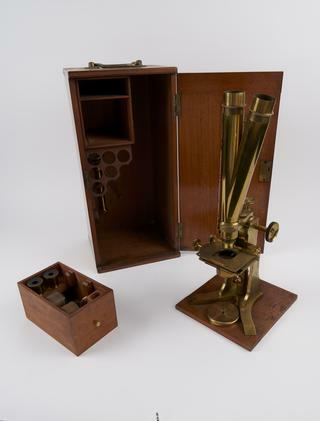 Wenham binocular microscope with Crossley's illumination tailpiece, serial no. 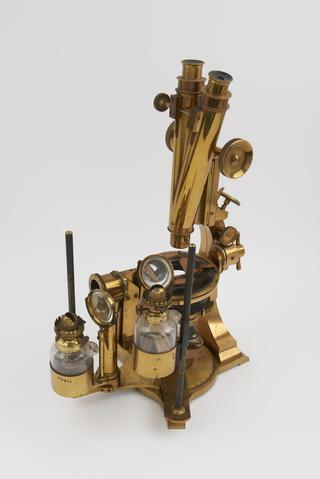 1390, by W. Watson & Sons, 313 High Holborn, London, England, 1875-1900. 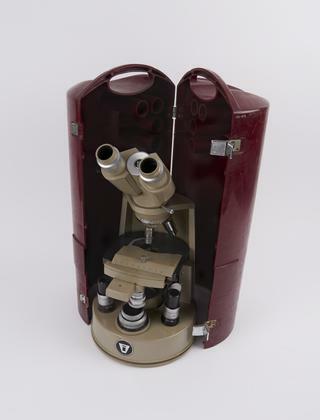 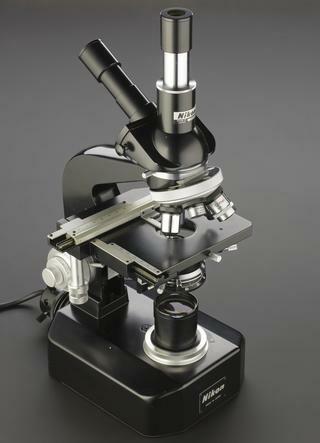 Large binocular microscope, with folding stand, serial no. 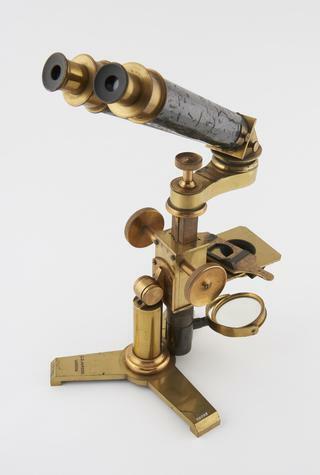 6179, by R. & J. Beck, 31 Cornhill, London, England, 1860-1870. 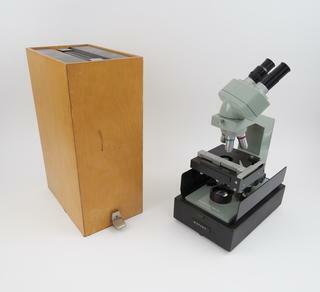 Binocular microscope serial no. 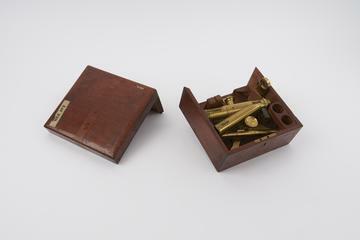 1764 by Watson and Sons, 313 High Holborn, London, in wooden case, 1882-1900. 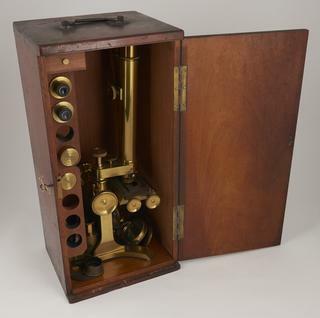 Supposedly owned by William Quekett (1802-1888).